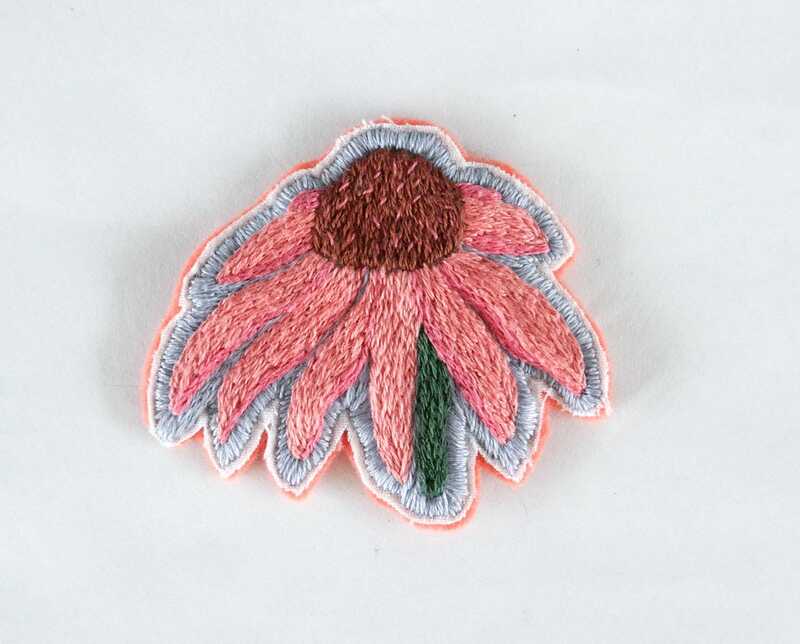 A pink flower patch to put on your favorite accessory or jacket, embroidered 100% by hand on a wool felt backing. Measures approximately 2" wide and 1.75" tall. 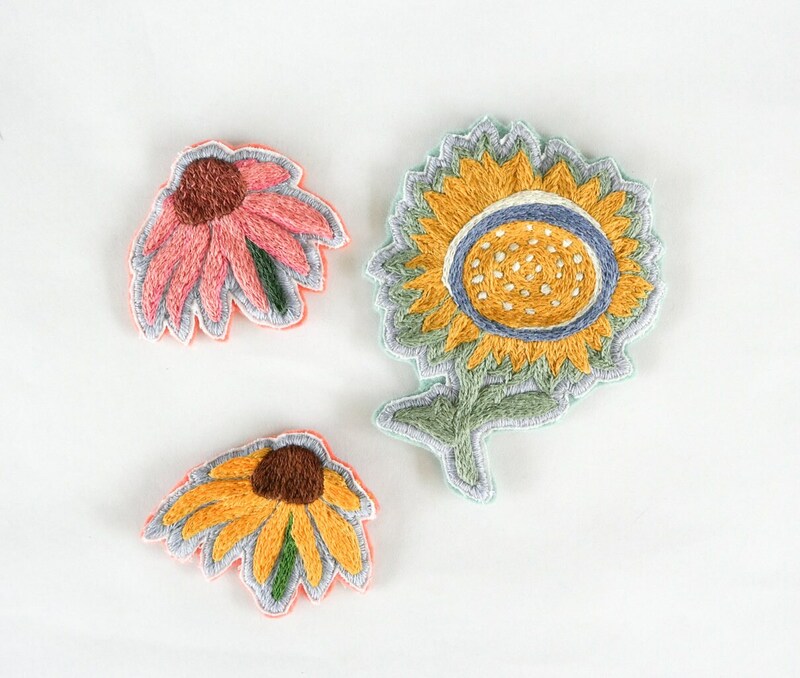 Shipped with a sewing kit that includes needle, matching thread, and fusible webbing so that patch me be sewn or ironed-on to the item of your choice. It's recommended that you spot clean your patch. Your purchase will be printed and packed to order, and will be shipped within 3-5 business days of your purchase via USPS from California. I'll be sure to send you a notice when I ship your order, so you can know when to expect it's arrival! I will happily refund shipping overages of more than $1. Prints 8" x 10" or under will come packaged in a glassine bag, and ship in a rigid flat envelope. Larger prints will ship in a mailing tube, and be wrapped with paper to protect from smudges and dirt. At this time, I am unable to accept returns. However, I am happy to replace items damaged in shipping--just send me a photo or two of the damaged item, and I will get a new one to you as soon as possible! Q: When will I receive my order? A: It depends where you live--I mail everything via USPS, so it should take 3-5 business days for you to receive your order if you live in the continental US. Depending on the post office's workload, it may take longer. If you still haven't received anything after two weeks, please let me know so I can contact USPS. Q: How do you print your products? A: My products are printed in-house with pigment inks on acid-free paper, or when applicable, screen printed by hand with screens produced in-house. How can I find out more about you? If you'd like to see more of my work or find out how to further contact me, my portfolio is the best place for that! Visit katewongonline.com to find my contact information and additional artwork. Everyone else: Unfortunately I'm not currently accepting private clients.